From 15/12/2018 to 27/04/2019, every Wednesday. Dates to be confirmed. 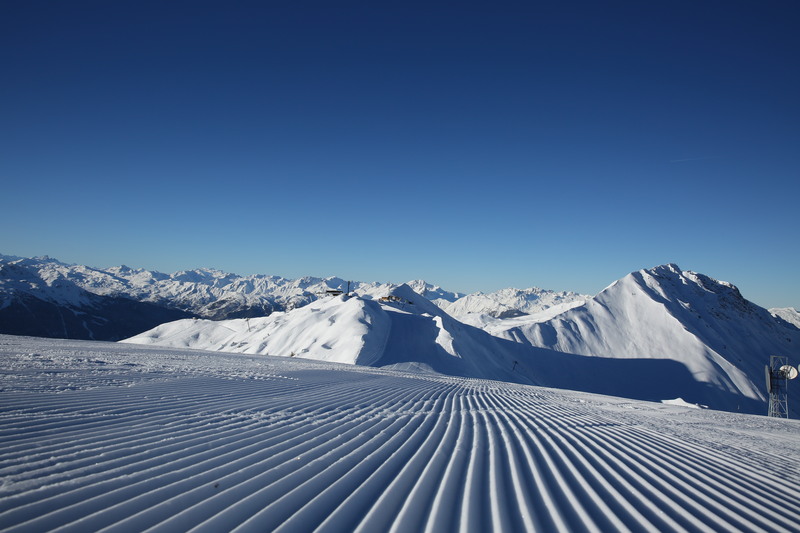 Come and leave the first tracks of the morning"
See the sun come up over the la Plagne-Paradiski® area. Be on the slopes before anyone else and make the first tracks…a magical way to start your day’s skiing!!! Be among the privileged few to enjoy a Savoy breakfast with members of the ski patrol at the top of the Grand Rochette, one the most beautiful 360° panoramas in the ski area. Meet at 7:45 at the bottom of the Grand Rochette cable car in Plagne Centre. "Paradiski is a registered trademark of Compagnie des Alpes-Domaines Skiables"
See the sun rise on la Plagne Paradiski® and be be among the privileged few to make the first tracks of the morning.....a magical experience to start your day!